It has been a long time since I wrote my last beauty/skincare/makeup post. That is NOT to say I have fallen out of love with beauty products, it's just that I wasn't really trying anything new due to lack of funds and having little to no time to mix up my beauty regime. 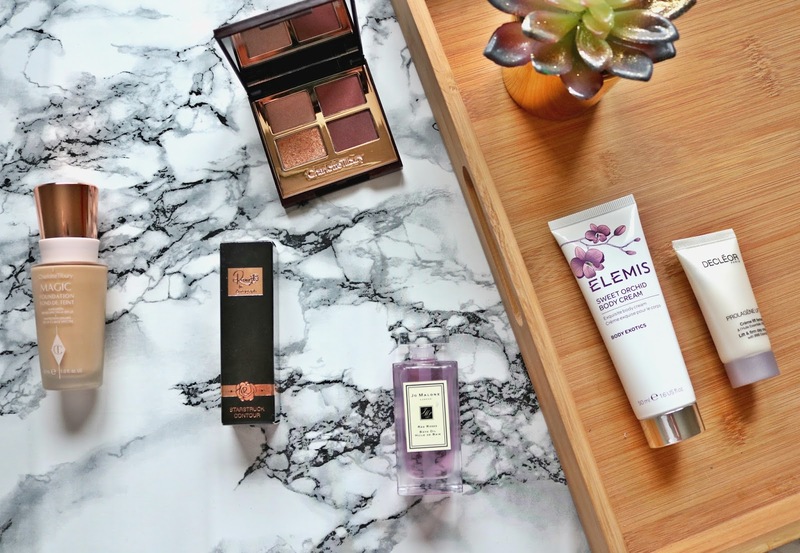 SO, I thought it would be rude not to share the new beauty bits that I have been loving recently. I've heard great things about this foundation and have seen it everywhere so I thought it was about time I gave it a go to see what all the fuss is about. This is a very new purchase so I've only put it to the test a handful of times. 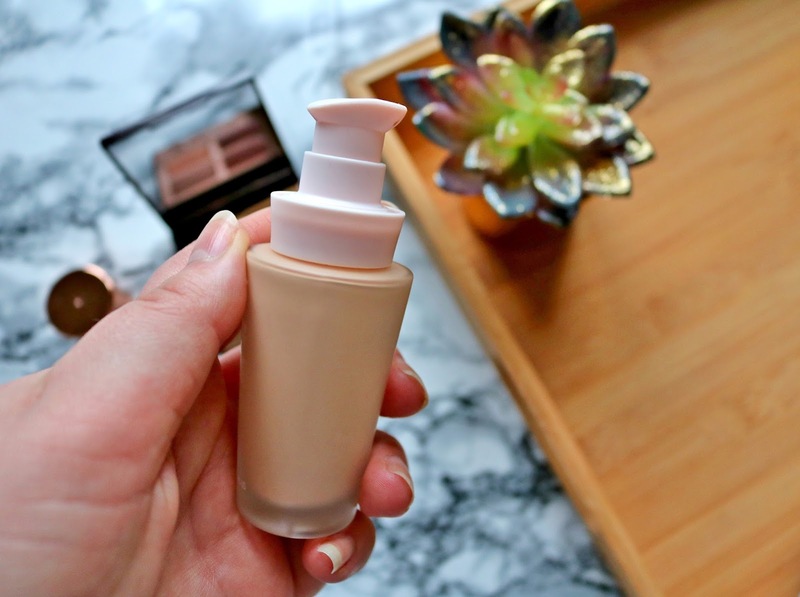 I have tried SO many different foundations from high end to low end but the colour and consistency combination have never been quite right...until now. It's perfect for my combination skin as it mattifies those annoyingly oily areas without looking too drying in other dry areas and the colour suits me perfectly with golden tones hinted throughout. This is a re-purchase that I recently ran out of. 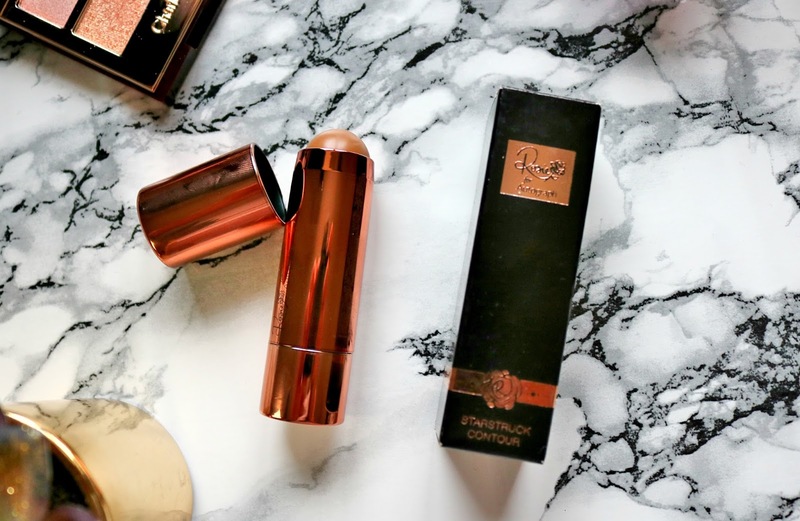 The contour stick is perfect for blending contours in to my skin as it's so creamy and smooth with a gorgeous golden brown colouring. I tend to use it in the hollows of my cheeks, lines of my nose and around my hairline blended with a beauty blender. It's been giving me some much needed colour when my skin hasn't seen the sun for some time. 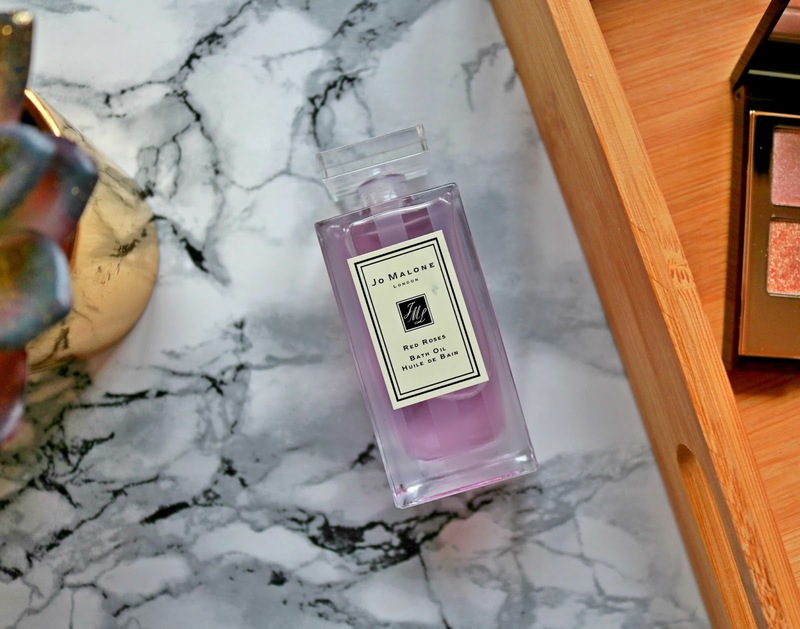 I was fortunate enough to be given samples of these products recently as I work for a luxury spa so I have linked the closest product to them above. 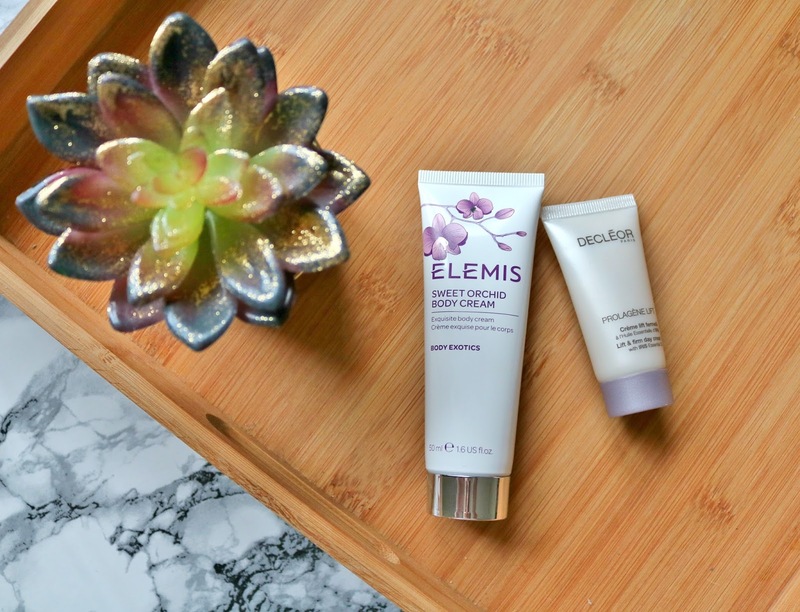 I have always loved Elemis skin care products and the Sweet Orchid Body Cream is no exception. It smells amazing and feels amazing and makes my skin feel nourished and hydrated. Though I have only been using the sample size of the Decléor Prolagene Lift Day Cream, I am VERY tempted to buy the product itself as my skin has been loving it as my skin has been radiant and glowing. I have been recommended Decléor products to help with stubborn spots previously and it really has helped reduce the number of break outs on my skin. The day cream is also anti-ageing, which some of you may think 'I'm too young for anti-ageing products' but I have to say, it's better to start young than too late when the signs of ageing begin to appear. I was bought this as a gift from Stu for Christmas as part of a set along with the Incense and Embers scented candle much to my delight. He managed to keep me guessing and it was a total surprise. I had not really used bath oils too much before however this has certainly changed my mind. The scent lasts so much longer than bubble bath and leaves my skin smelling beautiful. It was a very thoughtful and romantic gift that would also make a great Valentines present so get dropping those hints! 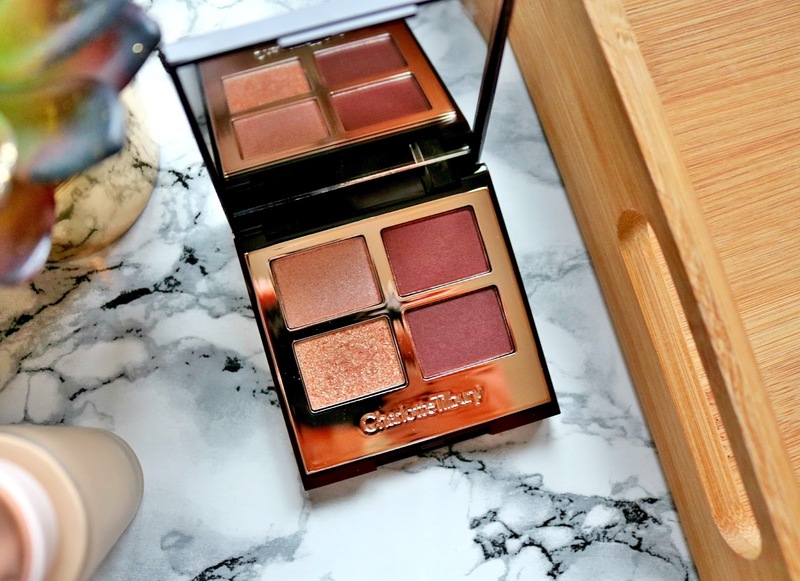 Another new make-up purchase which I am loving is this stunning eye palette by Charlotte Tilbury. I wear a lot of pink-y/purple-y tones on my eyes and love shimmer eye-shadows so this little palette is perfect for me. It's a little on the pricey side but it's totally worth it. When I first used the product, I couldn't believe how the smokey shades were transformed by the glittering gold shimmer shadow I put over the top; the look turned in to an instant chic evening look that I have been using time and time again. What beauty bits have you been loving recently? I'd love your recommendations so please leave me a comment below or get in touch with me on my socials. Haha you definitely should! Such a luxury! I haven't tried any of these brands but I really want to give Charlotte Tillbury a try. All of her products just look so dreamy!, your photography is amazing btw!. I've developed a new love for CT and will definitely be purchasing more when I have the £££. Thank you so much! It will make you angelina jolie skin care free from encountering listing skin that chafes the vast majority of the ladies of today.